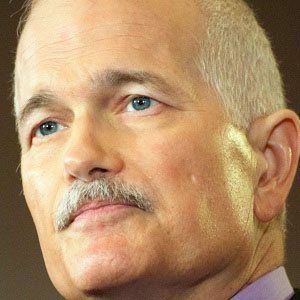 New Democratic politician who rose to fame as his party's leader from 2003 to 2011 and led it to unprecedented popularity within Canada. He received a Masters in political science from York University. His life is portrayed in the television movie Jack, which aired on CBC Television in 2013. He was married to his second wife, Olivia Chow, from 1988 until his death. He was the Leader of the Opposition while Stephen Harper was the Prime Minister of Canada.